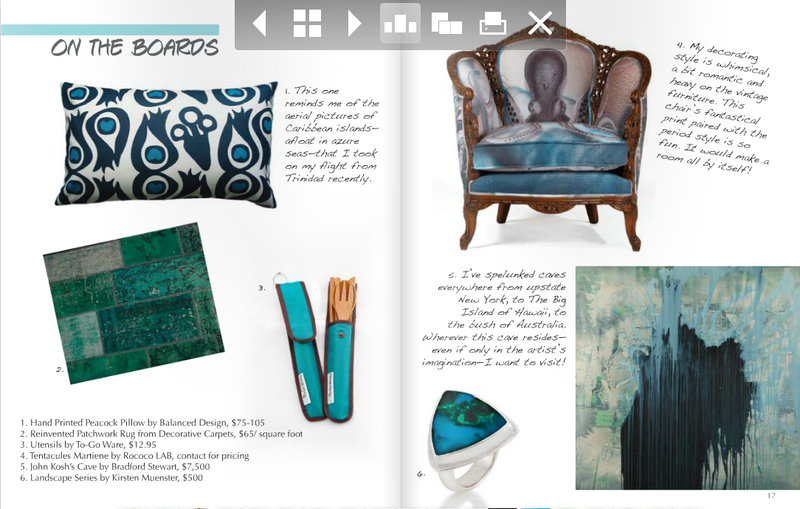 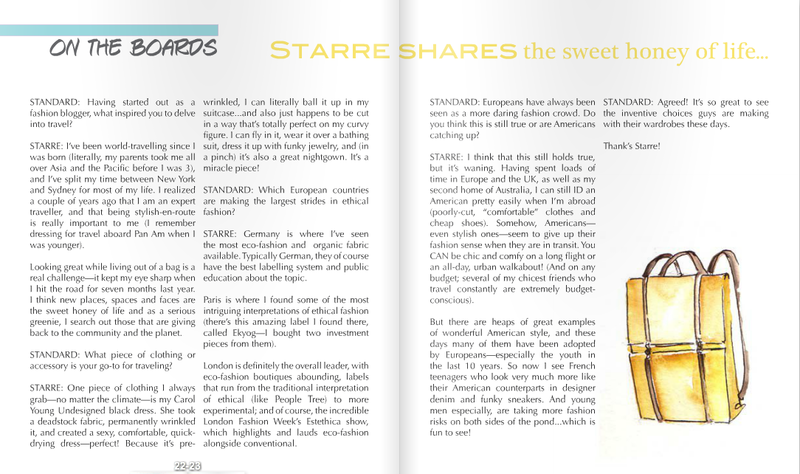 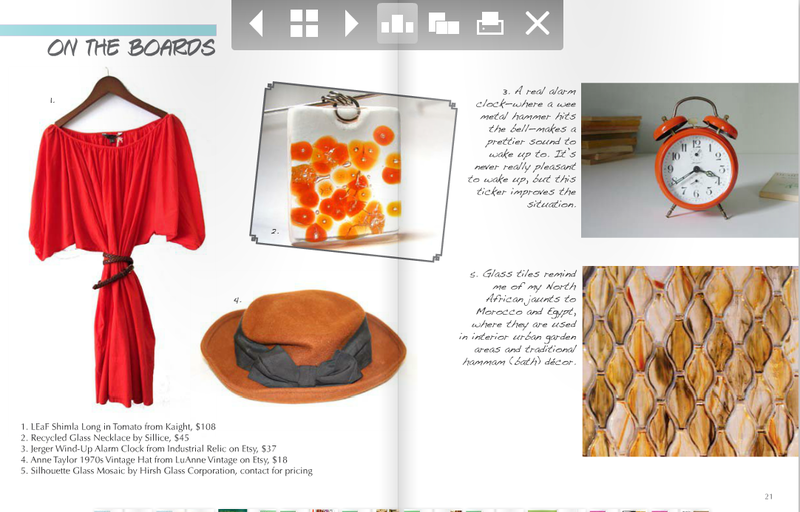 I was lucky enough to be asked by the original eco-designer, Kelly LaPlante, if I would guest edit the “On the Boards” section of Standard magazine’s “Summer Abroad” Issue. 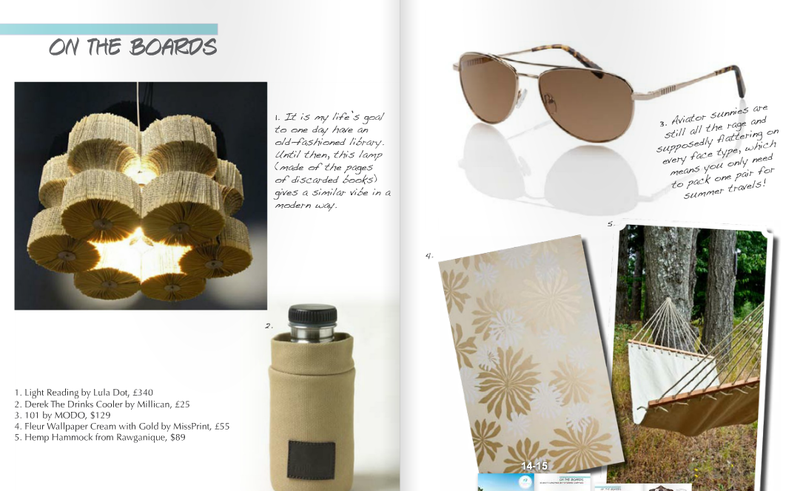 Knowing that I’m a frequent and obsessive traveller, Kelly thought I’d be perfect to choose chic and sustainable decor and fashioney items for the front of the magazine. 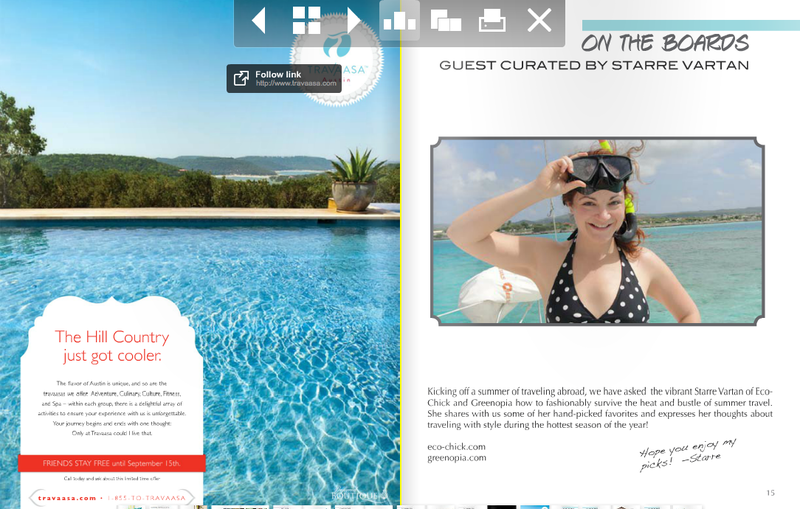 I was happy to oblige.